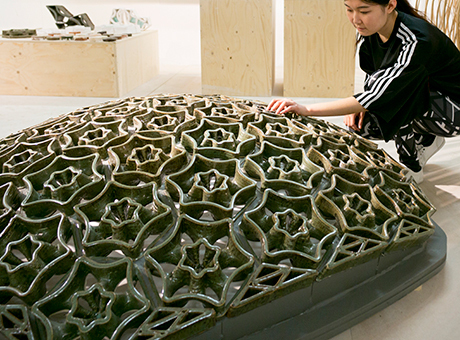 The exhibition, curated by Guan Lee and Eleanor Morgan, is the outcome of a RIBA Research Trust Award. Grymsdyke Farm is a research facility, fabrication workshop and living-working space for architects, artists, designers and those interested in materials and processes of making. Based in the village of Lacey Green in Buckinghamshire, it aims to explore the essential connections between processes of design, making and place and build relationships with other individuals who share a similar enthusiasm for making. Through this communal and collaborative approach, the Farm is a place where people can exchange ideas, working methods, interests and expertise.